One of the most important things to do when visiting any Disney Park is to make time to meet the characters. When visiting the Walt Disney World Resort, you have a wide variety of characters to choose from throughout the four parks. Some of your favorites may be found in Disney Hollywood Studios. Want to know where to meet them? Before your next visit, make sure to read over our Ultimate Character Guide for Disney’s Hollywood Studios. Disney’s Hollywood Studios is one of my all-time favorite parks. Here action takes center stage as you become immersed in the world of Hollywood entertainment. Over the past few years the park has undergone many changes, as Disney continues to reimagine the guest experience. 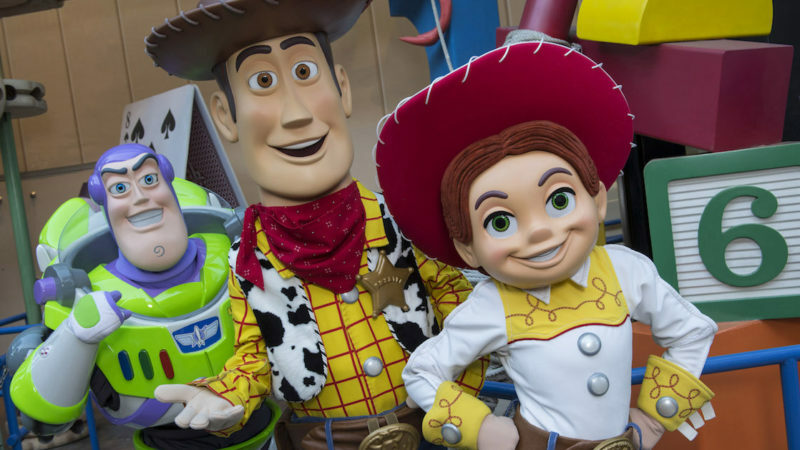 The amazing Toy Story Land recently opened, bringing the toys from the Toy Story franchise to life. You have to see this for yourself. I was blown away when I visited during the media preview. In addition, the much anticipated Star Wars: Galaxy Edge will be opening in 2019. My family is literally counting down the days for this one. There is so much to see and do in Disney’s Hollywood Studios. You won’t believe how many popular Disney characters are located there. 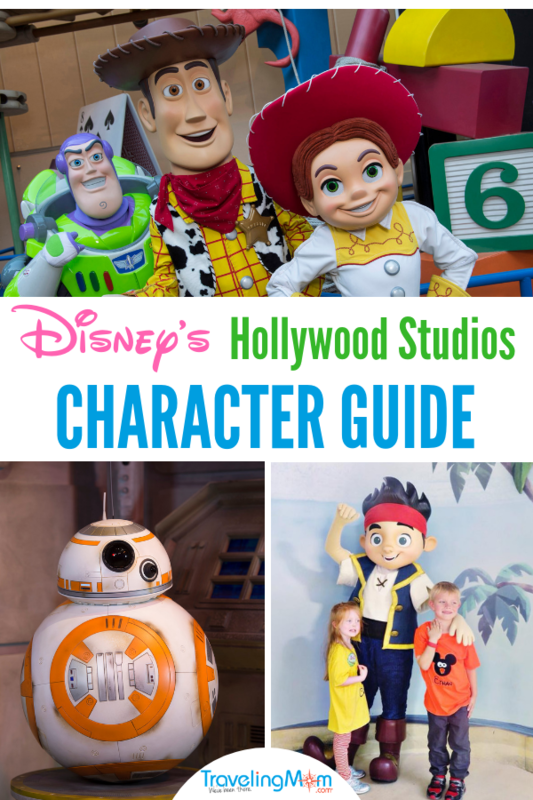 Use this character guide for Disney’s Hollywood Studios during your next visit. First of all, Disney’s Hollywood Studios is the only place you will find Star Wars characters at the Walt Disney World Resort. With multiple attractions, experiences and character interactions, the epic saga comes to life, and you can step right into the action. In fact, you can meet characters from the Light Side as well as the Dark. 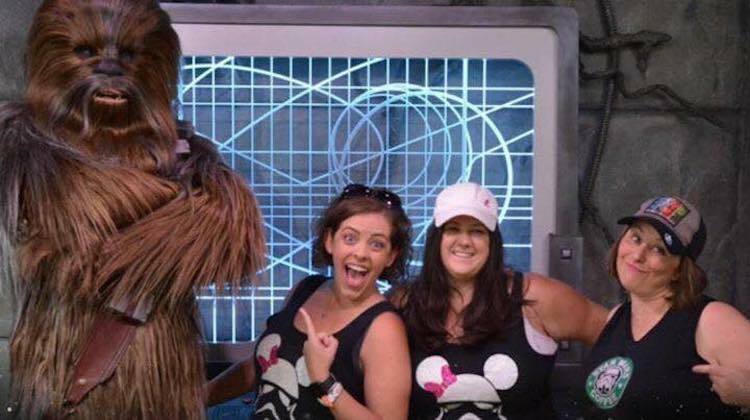 Everyone loves Chewie – even grown ups. Photo Credit: Patty Holliday. Meet your favorite Wookie at Star Wars Launch Bay located in Animation Courtyard. You don’t want to miss hugging this guy. Disney PhotoPass photographers are there to capture the moment. Those of you brave enough to come face to face with this First Order warrior can interact with him at Star Wars Launch Bay located in Animation Courtyard. You can meet BB-8 at Star Wars Launch Bay. Equally important, during select times you can watch the March of the First Order on Hollywood Boulevard and see Captain Phasma and the stormtroopers. Make sure to check the Times Guide as you enter the park for showtimes. Another very popular attraction is Jedi Training Academy found in Echo Lake. Children ages 4-12 can register to participate in Trials of the Temple. TravelingMom Tip: This is a very popular attraction. The best way to register your child is to be at the park at rope drop. The all new Toy Story Land recently opened, allowing guests to play big in Andy’s back yard. At this time, Disney does not have a permanent location for meeting Toy Story characters; however, this is where I found them during my recent visit. At the onset of entering Toy Story Land, guests are being greeted by Buzz Lightyear. Woody and Jessie can be found greeting guests near the entrance to Toy Story Mania. 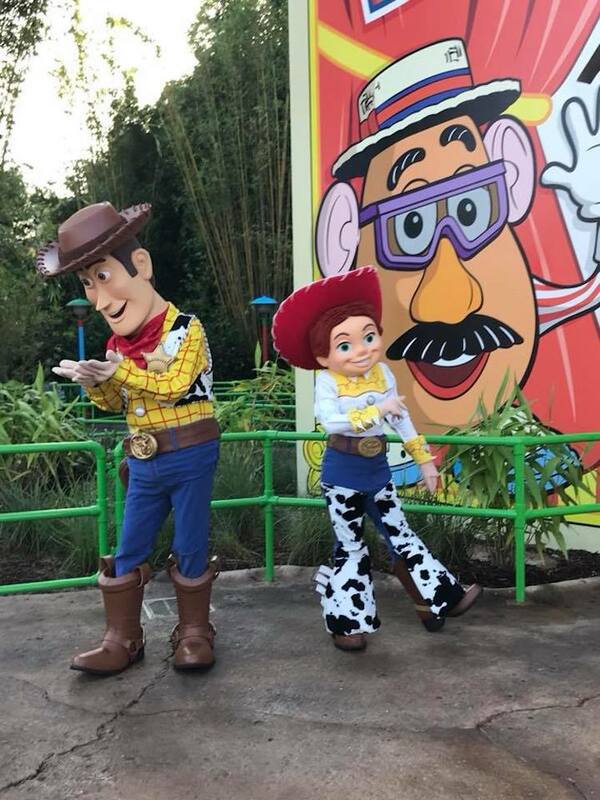 You can find Jessie and Woody roaming around Toy Story Land meeting guests. Photo Credit: Karyn Locke, Road Trip TravelingMom. My favorite characters of all are the Green Army Men from Toy Story. These interactive guys are found marching all throughout Toy Story Land. If you’re lucky, you can catch them as they play the drums or even get to bounce a ball with them. 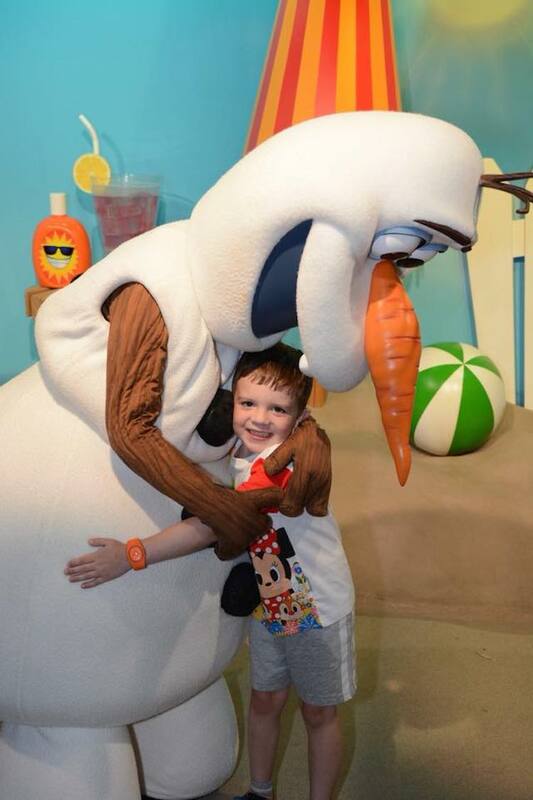 Don’t miss meeting Olaf and sharing big hugs. Photo Credit: Leslie Harvey, Frequent Flyer TravelingMom. Olaf, everyone’s favorite Frozen snowman, greets guests inside a specially themed area called “Celebrity Spotlight.” Here you can give Olaf warm hugs, get his autograph, and pose for a photo with him. Disney PhotoPass photographers are there to capture the entire meet and greet. While you cannot actually “meet” the Frozen princesses in Hollywood Studios (they have a meet and greet in Epcot), you can see them at their very own attraction. Both Anna and Elsa can be found at For the First Time in Forever: A “Frozen” Sing-Along Celebration in Echo Lake. This 30 minute show is a fun way to interact with Anna and Elsa through song. If you have a little one, you are probably quite familiar with the Disney Junior characters. You can meet all your favorite Disney Junior characters when visiting Disney’s Hollywood Studios. In my opinion, the best place to meet Disney Junior characters without having to stand in line is to book a dining reservation for Disney Junior Play n’ Dine at Hollywood & Vine. The Playhouse Disney characters (Doc McStuffins, Jake the Pirate, and Sofia the First) will stop by your table for hugs, autographs and photos. The Disney Junior characters can be found at Hollywood & Vine for breakfast only. If you’re unable to secure a dining reservation you can find these characters in Animation Courtyard at various times throughout the day. You can meet Doc McStuffins at her own special backyard playhouse clinic found in Animation Courtyard. Vampirina meets guests just outside the doors of Stage 5 (Disney Junior Dance Party location – Animation Courtyard). 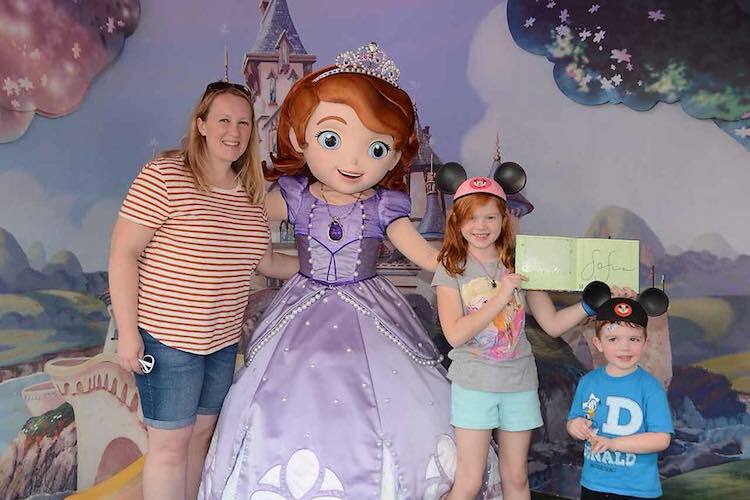 Sofia the First is happy to pose for photographs and sign autographs. Photo Credit: Leslie Harvey, Frequent Flyer TravelingMom. Sofia the First can be found alongside Jake meeting guests outside of Disney Junior – Live on Stage in Animation Courtyard. She has her own backdrop inspired by the storybook world of Enchancia where you can pose for photographs with her. Another fun way to interact with these characters is to participate in the Disney Junior Dance Party featuring Doc McStuffins, Vampirina, Timon and Mickey Mouse. You can’t visit Disney without taking time to meet Mickey and Minnie Mouse. Again, I truly believe the best way to meet characters is by booking character dining reservations. Make sure to book a lunch or dinner reservation for Minnie’s Seasonal Dining at Hollywood & Vine. All throughout the year Minnie appears with her friends in various themed dinner parties including Springtime Dine, Summertime Dine, Halloween Dine, and Holiday Dine. TravelingMom Tip: Since character dining in Walt Disney World is so popular, make sure to book your reservations far in advance. You can book dining reservations up to 180 days in advance. Visit Mickey and Minnie Starring in Red Carpet Dreams on Commissary Lane. Appearing in a scene from Fantasia, Mickey greets you in his sorcerer attire from the Sorcerer’s Apprentice. Here you can get Sorcerer Mickey’s autograph and take photographs with him. A Disney Photo Pass photographer is on scene to capture the moment. Minnie Mouse can be found alongside Sorcerer Mickey where she appears as a Tinsel Town starlet. First of all, never go to Disney without a plan. 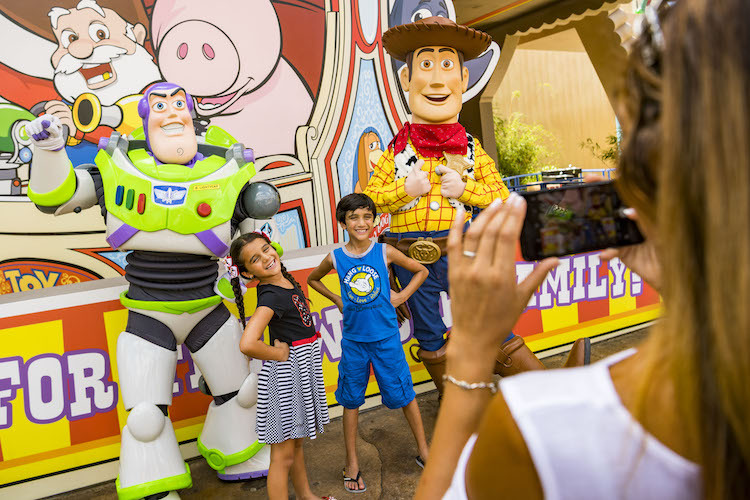 If you’re wanting to try meet as many characters as possible throughout your vacation use our helpful guides. Before you visit the Magic Kingdom, read Disney’s Magic Kingdom Character Guide to help you find every character in the park. Planning to visit Epcot? Use our Ultimate Guide to Finding Disney Characters in Epcot. I am in the process of creating a similar post for Disney’s Animal Kingdom and will update this post as soon as it has published. If you’re interested in additional information on character dining locations outside of Disney’s Hollywood Studios, please read The Complete Guide to Disney Character Dining. *Disney often relocates and updates their character locations. These are accurate locations as of the date of publishing. 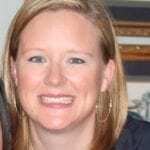 Caroline Knowles lives on the Gulf Coast in Fairhope, Alabama with her husband and two children (ages 19 and 12). She is the owner of Magical DIStractions Travel Co., a travel agency that specializes in Disney, Universal, and all-inclusive travel. She is also the founder of Magical DIStractions, a website focused on her love for all things Disney.